I've written about my daughter many times before. She's about to complete her 4th limb lengthening surgery and rehabilitation. She has a pretty severe discrepancy - despite the 4 lengthenings, she still wears a 4 inch shoe lift. You can't hide a 4 inch lift. It's noticeable. She's used to it. We're used to it. Strangers are not used to it. We're used to the stares. The points. The questioning looks. The sympathetic looks. Most are pretty innocent. She's gotten really good at telling people, especially kids, why she wears it. We've had some bad experiences with it. Teenagers who laugh and point at it (Mama Bear and Teacher Mom came out when that happened....). We've had adults make some ridiculous comments. They happen. My daughter has been at the same school since kindergarten. She's in middle school right now and so far, her classmates have been great. They have seen her go through three of the four lengthenings and a major ankle reconstruction. My daughter feels comfortable and confident at her school. I'm grateful for that because that's not always the experience kids who have something different about them have. She has two more years of middle school left, so I guess we'll see what happens. What I'm most concerned about it high school. She'll be going into a HUGE high school with very few of her K-8 classmates. That's the way school boundaries work. I'm a little nervous - what will the high school kids say about her lift? I've heard middle school is worse, but I remember high school... it was worse than middle school, for me. My daughter is a competitive swimmer and high school girls swimming season starts right away in the fall. I'm hoping she'll have very supportive teammates that will make the transition easier for her. Long story to set up my review of a book, right? But I needed to write these things so you know how important books like these are. I know, I've already rambled a lot. But when I read a book like this, I think how important it is to be put in the hands of every reader. Because I know the more kids know about disabilities like this - physical ones, mental ones - maybe, they will have the understanding, the compassion that is needed in our world. Because last I checked, every human is born with feelings. Nothing is accomplished by bringing someone down. But I see it everyday. I see it when our president feels like it's ok to mock someone who looks and sounds different than others. And that's not ok. But it's books like this that can maybe help. But they can only help if we get them in the hands of readers and talk to them about it. This book is a needed book. I hope you find copies on September 5th for your readers. The larger something is the more dangerous it is, right? Yes and no. Size has changed as the world continues to evolve. Big doesn't always mean predator, and big definitely does not always mean smarter. These books give amazing information about size. Everyone knows, anything Steve Jenkins publishes is genius. I love how he takes ideas and makes you think more about them and his illustrations always make concepts understandable. 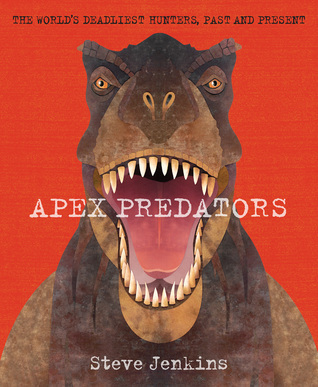 In this book, Jenkins takes a look at predators of past and present. 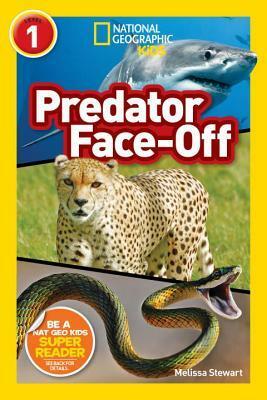 And not just any predator, predators that are/were the top of their game - apex predators. Some are familiar - the great white shark and they tyrannosaurus rex. Some will be new to readers. My favorite part of the book is the comparison chart between the predator and a human male. You will be shocked at how large some of these apex predators were! Jenkins takes a moment at the end to remind readers the strongest apex predator of all - a human. Why? It's not strength, but brains, ability to make/create with our hands and being able to work together with others (strength in numbers and all that). Snakes, big cats and sharks. All very different sizes, all extremely dangerous predators. Stewart compares three different animals and they way they attack their prey. I think each one made me shudder a bit more! Seeing as this is a National Geographic Kids book, you know the photographs are going to be amazing. Seeing the snake eat its prey - I was equally part amazed and disgusted! Now onto one of the largest animals living today, the elephant. 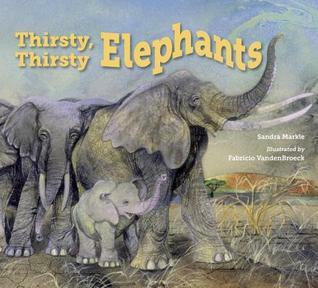 In this narrative nonfiction story, we see the powerful memory of the elephant as Grandma Elephant is able to recall a watering hole from her past that saves her herd from the current drought. Based upon a real elephant, young readers will see just one example of how strong elephant memories are. What interesting animals to compare! Happy nonfiction reading! Alyson and I have both covered Bloomsbury's new Read and Bloom series in past posts. I believe we're both fans of this new series and today Bloomsbury has a new set of books to add to this series! The Adventures of Caveboy and Caveboy is Bored! Caveboy lives with his mom, dad and sister and loves swinging his bat. His favorite thing to do with his bat is play baseskull - you know, where you swing your bat at a skull! 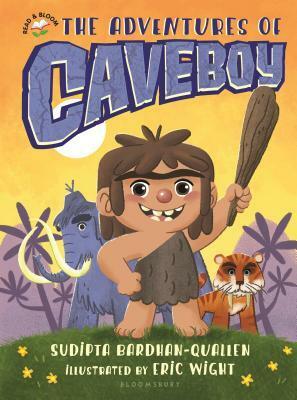 In the first book of the series, Caveboy breaks his bat and must find another one. When he does, it's already been claimed... by a girl. Can Caveboy get the bat and maybe a new friend? 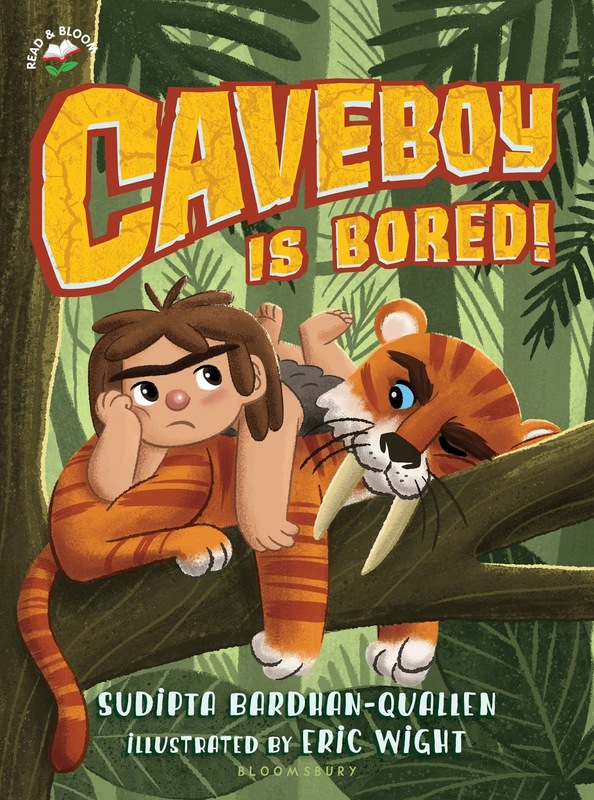 In the second story, Caveboy is bored, hungry and tired but guess who interrupts all of his plans? His sister, of course! Readers will laugh at how Caveboy and Sister solve all of the problems. 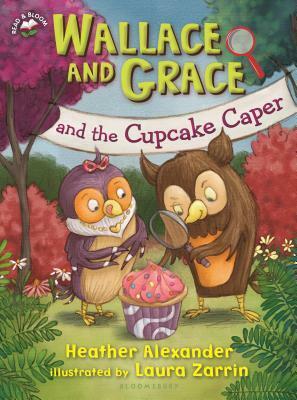 Wallace and Grace run the Night Owl Detective Agency that caters to nocturnal animals. If they have to work during the daytime, the sunglasses have to come out. 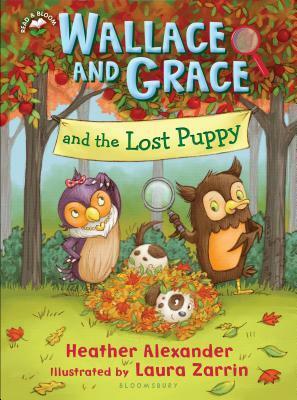 Each book follows a similar premise - we learn a bit about Wallace and Grace, then they meet the character who needs assistance with a mystery. They follow steps to solve the case, and of course, are successful. What I love about this series is the predictability of it. This is very helpful for young readers because they rely on consistent structure when independent reading. This one may be my favorite in the series! 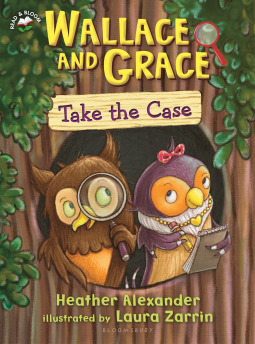 Both the Wallace and Grace series and the Caveboy series are perfect for the Kg-3rd grade classroom. Series like these are so important because they support readers who are ready for independent reading! 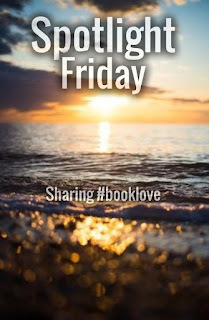 Swing by Alyson's blog to see what books she is talking about. Did anyone else hear the skid marks as my reading came to an abrupt halt?? I forgot about how important it is to find time to read in the edges. Usually because I was taking a nap between the edges this week!! Definitely the start of school. In fact, I finished the one middle grade novel I did read this weekend by finding an hour block of time to read on Saturday and Sunday! Once we get into routine I'm sure things will go back to normal but until then I'll be working hard to find little pieces of time to read. This is a perfect time to be reflective about your classroom library and how you want it set up. Ideas on how to set it up without levels here. A roundup of nonfiction picture books that celebrate books and reading. A review of Cassie Beasley's upcoming book (tomorrow!) Tumble and Blue. The first ten books we're using for #classroombookaday in the 4th grade class I'm in. 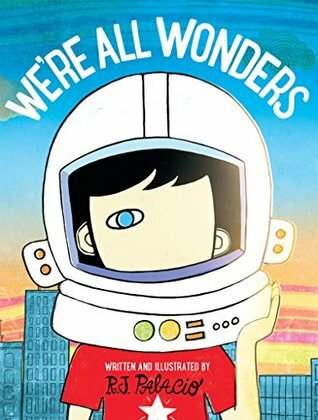 I think this book is perfect to read at the start of the year to talk about acceptance, inclusion, looking out for each other and even personal space. Maybe point out that once the adult animals got out of the way, it was the kids that found a new way to be. Love that it's wordless so even more room for discussion and interpretation. I've been waiting so long to get my hands on this book and it did not disappoint. Reminding us that the present time is so important. BE in the now. Recognize the importance of what you are doing. Be present. Such a great message. 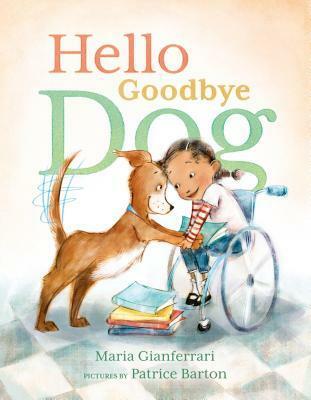 Yet another powerful, short picture book that is going to be great to discuss with older readers! I love the illustrations in this series. It makes me feel like I am reading a favorite book from my childhood. The stories are always sweet and have an old fashioned feel to them, as well. I think these stories would be perfect for a library story time. I went back and reread this book just so I could engross myself in the words and take in the poem by Engle. What a beautiful small moments story about the value of family in Cuba. Make sure you read the publication page and the author's/illustrator's notes because they give another glimpse into Cuban life. Where Engle has an amazing way with words, Mike Curato, the illustrator, has an amazing way with illustrations. They are gorgeous and really capture, what I imagine, the bright colors you would see in Havana! What a stunning debut! This window book for me has us looking in at what growing up in modern day Harlem is like for a 12 year old. I think this story is powerful one that packs a punch and is full of heart. Lolly, Rose and Vega are characters that will stick with me for awhile. But like I said, this is a window book for me and some of the issues that were problematic for me, a white middle class reader, may or may not be problematic for, let's say, a twelve year old child growing up in inner city Chicago. A longer review will be posted on September 7th! I loved Fusco's Beholding Bee so I am so excited to dive back into her words! Hoping to find time to read this week and get into a routine. We'll see how that goes! 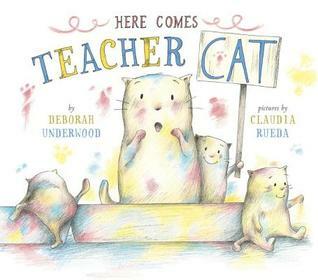 I am really excited this year because I get to do #classroombookaday! Since I'm not a classroom teacher, it's something I've always been sad to not be a part of, but lucky for me this year I have a couple of teachers who are willing to partner up with me and share their class. If you would like to see the books we're reading throughout the year, follow the hashtag #mv_reads. Here are some books I'm using the first 10 days of school. 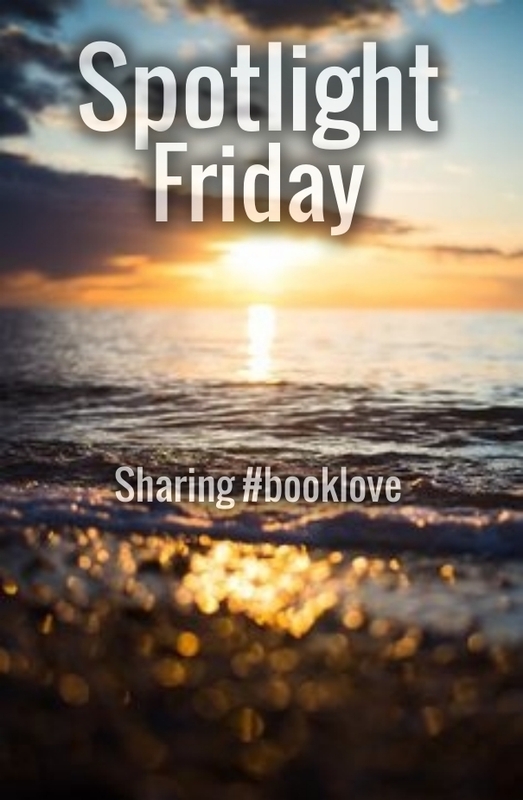 Books I'm reading on a Friday - because they are just too fun! It's going to be a great year for reading! Cassie Beasley blew me away with her debut, Circus Mirandus. The magical realism, the relationships between the characters, the development of the story. 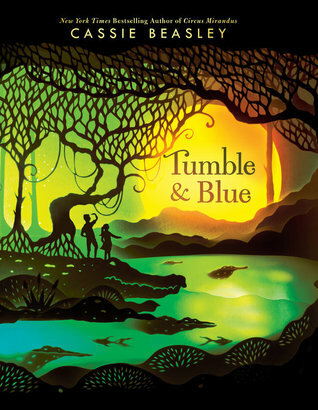 Tumble & Blue has many similarities - magical realism, great relationships between the characters, and a fantastic story that opens up in front of your eyes - but feels like a completely different story. This cements Beasley as an author that has an amazing talent, in my mind. Beasley wraps multiple story strands together into this amazing tale. There's Munch, the alligator who is in charge of fates, as well as having the starring role in a crazy family rivalry story. There's a huge family (in fact, you may want to write characters down as you meet them) that all have talents - many of them undesirable talents - who want to change their fates. And there's Blue, a character who will weave their way into your heart with his inability to win at anything but has a winning heart. And Tumble, who has a secret that is driving her need to be a hero. I'm not sure when the book entered my heart, but at some point, it got to be where I had trouble putting it down. I needed to know what was going to happen to the characters and make sure they were all ok! This book has an interesting theme that would be fun to discuss - can you change your fate, your destiny? I think talking about that, and if curses are real, would make for a lively discussion! I'm adding this book to our Mock Newbery list. I think it's a beautiful story that will for sure capture the hearts of readers. Be sure to look for it on August 29th! The magic-infused story of a golden gator, two cursed kids, and how they take their destinies into their own hands. This fall there are several books that are being released about the love of books and reading. Here are some you may want to add into your classroom! This is such a beautiful compilation of poetry that absolutely shows how reading comes to life. 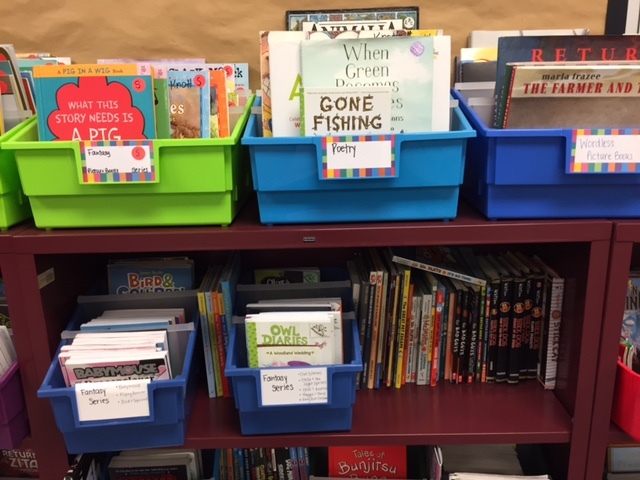 I love that all kinds of reading are celebrated - from reading street signs, to cereal boxes, to stories that take you places to nonfiction reading. 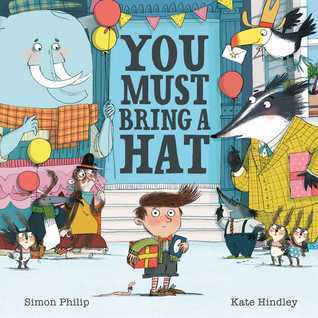 This is a book to be read aloud and shared with readers so they see that ALL reading is valued! 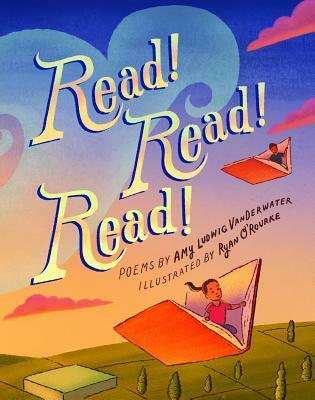 Whether you share the book as a whole or a poem a day, this book is going to be a great read aloud to celebrate reading. 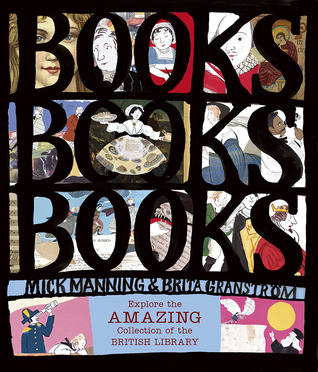 Celebrating the the British Library in London, this book will have any book lover in awe and wanting to travel to see it. When you stand on the ground floor of the library, there are nine floors above you and five floors below you! There are over 400 miles of bookshelves! Every book that is currently published in the United Kingdom and Ireland are in this library. Want to see original works by Lewis Carroll, The Bronte sisters, Jane Austen, William Shakespeare? Look no further than the British Library! I thought it was interested at the end it says the Library of Congress claims to be the largest library of all. I would love to see a book written about it, similar to this one. I could see older students using this book in their English class. The names of the authors that have works in this library would certainly be more familiar to older students. I think this book is an important one to read and share with readers. 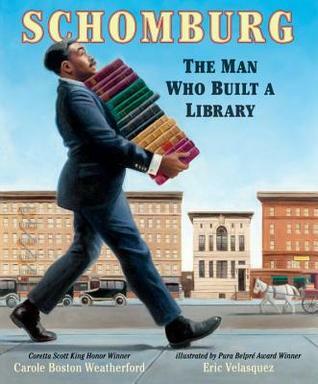 It's about Arturo Schomburg who curated his own library about African Americans who were instrumental in using their craft (artwork, books, etc) to celebrate their African heritage. A lot of the materials were written/created when Africans were not allowed to read, much less write. Without these stories, we would not have the most accurate information. Arturo collected so many books, they lined rooms, hallways and even bathrooms in his house! Eventually, they were acquired by the Carnegie Corporation and donated to the New York Public Library, with the intention of patrons using the materials for research. The subject of racism is not new and it's at the forefront of our minds due to recent events. Books like this that share, celebrate and bring to light, the work and stories of people who are descendants from Africa, need to be told in this day and age. Make sure this generation know about the history of people that came before them. I hope these books find their way into your libraries and into your readers' hands! 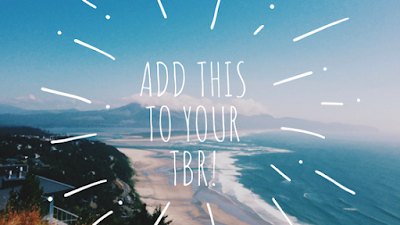 When I look at my twitter feed, instead of it being filled up with #opportunity2read photos or #amreading discussions, I now see pictures of classrooms, of classroom libraries, or even pictures of the first days of school. It's that time of year where are all of our minds are turned back to our classrooms and not as much as our own reading. 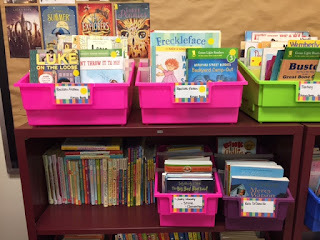 One of my favorite areas to set up in my classroom is my library. It's the heart of my class and the area I am most proud of. It's an area that ebbs and flows as my readers change and grow. It has also changed over the years as I have learned new information and reflected on practices. 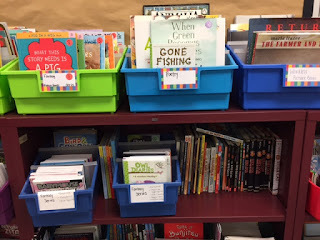 If you had walked into my classroom ten years ago, you would have seen books pulled together in bins that were sorted by series and authors. And you would have seen lots and lots of picture books. Pictures books sorted by series and authors... and into levels. Yup. The L-word. Levels. Always a controversial topic. Well over a decade ago I first learned about levels and guided reading. I learned about both and thought levels were the way to organize. But even then I knew that I didn't want a child to pick from a lettered bin. I knew enough to see that levels were fluid. They built upon each other. I clumped letters together that had similar enough characteristics. Instead of putting the letter on the outside of the book, I grouped them by color dots. But students knew what color was their "bin of choice". I remember telling students to pick a few from the color bin they were reading at and the rest could be any other books. But as time has gone by, as we've learned more about the intention of letters, my library has changed. I got rid of the levels. I grouped by genre. Series go into genres. Formats go into genres. My library is for independent reading, not for instruction. 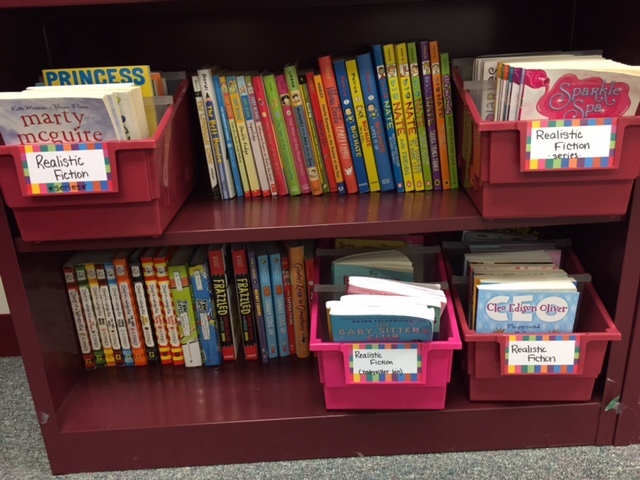 I may choose books to use from my library for instruction and then I will pay more attention to a level. But when students come in for book shopping, we don't talk about levels. So how does this look for my young readers? 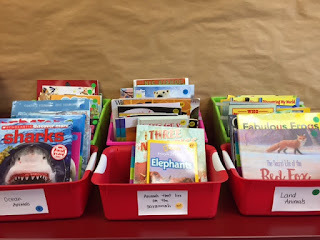 How do you organize picture books and chapter books? Next, each genre is further organized by format. I start with picture books at the top of my shelves, followed by early readers/chapter books, transitional chapter books, graphic novels, to middle grade. Take a look at these two photos from my realistic fiction genre shelves. the top shelf holds all of my realistic fiction picture books. None of them are leveled. 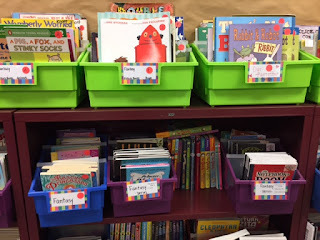 I have a wide range of levels within each bin that I can easily book talk to readers. 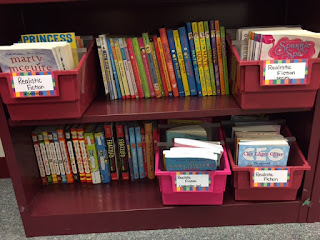 the next shelf holds early reading chapter books to beginning transitional chapter books. the second photo is a continuation of the realistic fiction shelves. 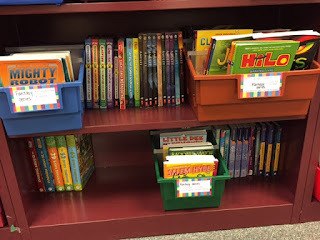 The next shelf holds more transitional chapter books to some middle grade. notice the variety of formats all together - picture books, chapter books, graphic novels. 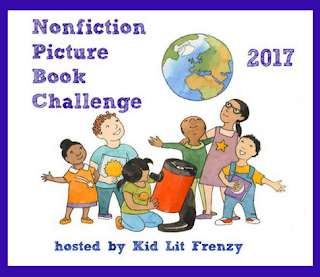 notice the variety of formats available - there are similar numbers of books in picture books, transitional chapter books and middle grade. I hope this gives you some new thinking about classroom library organization or the motivation to de-level your library! 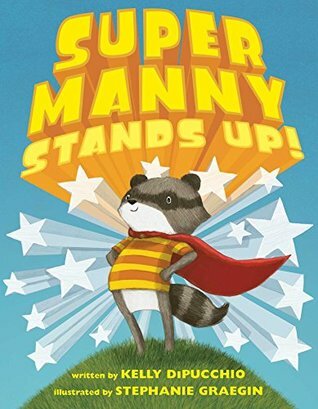 Be sure to stop by Alyson's blog KidLitFrenzy and check out a new series. I continued #pb10for10 day in my #road2reading post - 10 books for your readers who are starting their independent reading journey! I hosted the cover reveal for author Annette Pimentel's upcoming book, Girl Running. This is by far one of my new favorite middle grade books - The First Rule of Punk. When you see the names Aaron Reynolds and Peter Brown on a book, you know to set yourself up to laugh. 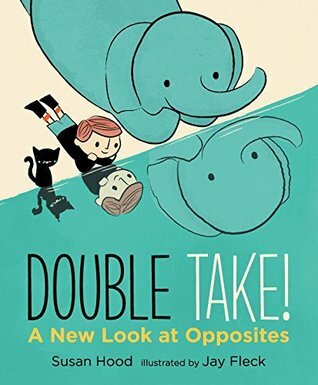 Definitely a different storyline, but with the characteristic humor, black and gray and one highlight color palette, and eye appealing illustrations, readers are in for a treat! Two Lions sent me a copy of this book and I was thrilled to get a sneak peak of the upcoming Josh Funk book! It has what you expect from Mr. Funk - witty, smart, and well-played, but it's his first published book that is not in rhyme format! 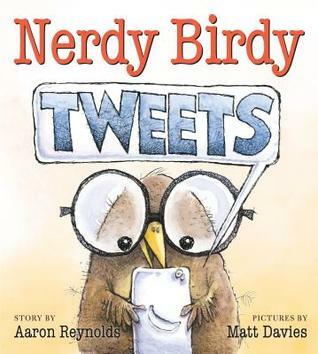 I think this book is going to have many uses as a read aloud and mentor text. 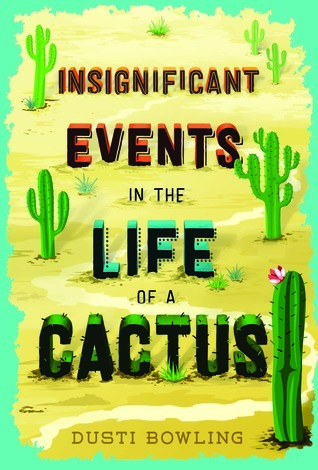 Longer spotlight post on this book coming in September! Thank goodness for Twitter friends. They led me to this book and it's one I will be buying. An important book to read now and in the future. We need to continue to have the discussion with students from here on out about what is important in people - the inside, not our color, appearance, what we have or don't have. 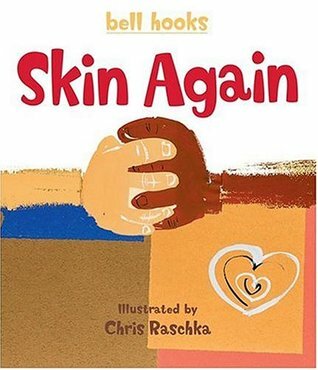 A sweet book about including people in your play, especially when they are new. Also about looking for things to do that includes people of all abilities. Would be a good book to use at the beginning of the year. Another fun book in the "What this story needs" series. 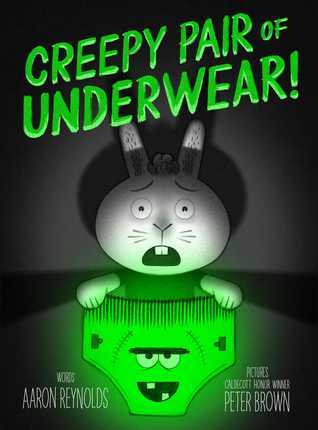 I read it to my 4yo niece and it was a hit! I can see young fans of the "Cars" movies flocking to this book! Sad to see this is the last book in the series. It's been a fun series to hand off to our young readers. I really enjoyed this complex story. Nora has blackmailed her cousin, Riley, to ride the crazy rollercoaster, the Cyclone. After the ride is over, Riley suffers a stroke due to an unknown heart condition, which lands her in critical condition at the hospital. One part of the story is about Riley's rehabilitation at the hospital. The way a stroke can affect a person was an interesting part of the story, as Riley ends up speaking better Spanish than English. I liked the use of footnotes to explain a lot of the medical terms for a reader. The use of words are also explored through drawings and the many ways you can say the "f-word" without actually saying it! Cronin was creative with that one! Another part of the story is piecing together what lead up to going on the rollercoaster. We know there had been a fight and Nora had information that Riley did not want her mom knowing. We get the background information in pieces but see how this affects the present part of the story. Another part of the story is how grief hits us all differently. We meet Jack who is important to Nora in understanding grief, hospitals and relationships. Although Jack's story isn't a main part, he passes on a lot of important things for Nora to think about throughout the story. This story was hard for me to put down. I was a little conflicted at the end. I wanted more redemption for one of the characters. I think readers who enjoyed Jenn Bishop's The Distance to Home or Ali Standish's The Ethan I Was Before will really enjoy this one. I'm including this book with middle grade, although I would recommend it for upper middle grade. It could easily be read by young adult fans, as well. I loved this book because of the positivity. This is a disability book, but it's one that deals with the disability in a realistic and positive way. I love how the main character is realistic about her views, but has the stubbornness to confront issues and try. I've had this book for a very long time and it's one I knew I would love, just needed the time to read it. I think I read it at the best time as my child goes through her own rehabilitation program. I immediately handed the book to her to read. 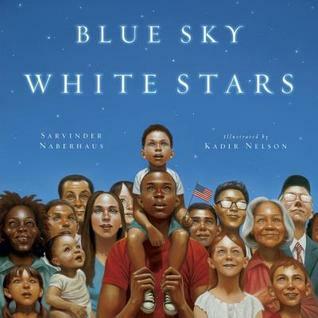 As we talk about #weneeddiversebooks, please remember to include books like this in your collection. The more we show physical disabilities, the more understanding we have for people with these challenges. I've never been a big Marvel fan. I've seen handfuls of the movies here and there. I've only recently heard of there being different Spider-Man(s). With that said, I'm guessing if you know more about the Miles Morales story, you'll probably understand the story just a bit more. But if you're like me and don't know it, you can fill in the holes and understand what you're missing. This is a Spider-Man story for today's generation. The storyline is very relevant and having Miles as the Spider-Man is even more important. What I liked about this story is it stays true to today's generation instead of it being about the action and adventure you find in super hero stories. I hope Mr. Reynolds has more coming! #bookaday has ended for me! School starts this week and I have no doubt that my reading is going to slow down! Between school, the regular routine, and my daughter's physical therapy, the waking hours are packed. It's always a little bit of a withdrawal, but I know we'll find our rhythm soon!